When Jenny Williams, CMO of Compare the Market (CTM), says she’s pushing ‘Simplesness’ throughout the entire business, it’s hard not to conjure images of meerkats popping their heads up throughout the insurance comparison business. 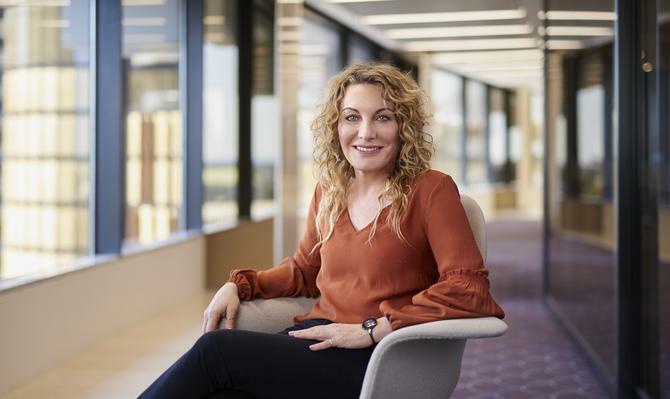 But lovable little furry animals aside, Williams, who is 10 months into her role, is very serious about adding value for consumers and increasing the financial consciousness of Australians, something she says is key to the business moving forward. The concept of Simplesness was borne out of the findings of a research study commissioned by CTM with Deloitte Access Economics, the Financial Consciousness Index (FCI). The study aimed to understand why so many consumers are unwilling to make changes to their financial/insurance products, despite an understanding that they would be financially better off if they did. This research fed into the latest campaign CTM has launched, featuring Australia’s favourite little fuzzies with an accent. Debuting in late September, the latest TVC announces the meerkats’ big move to the Land Down Under to spread their message of 'Simplesness', a state of mind designed to empower people to save time and money and get the most out of their household budgets. Williams confesses, however, that when she joined the company, she wasn't convinced the meerkats were working. “Compare the Market is interesting, it’s a very data-driven and digital business, which suits me really well,” Williams, who featured on the 2016 CMO50 list, tells CMO. “It’s a fun brand to work for as well; the meerkats are a great aspect. I must confess, however, when I first came on-board I wanted to evaluate whether the meerkats were working. Looking at the brand research, it’s very clear there’s a lot of love for them. The overall objective, however, is more than a campaign. Williams says it encompasses the next philosophy needed to take the business into its next phase of growth. “Simplesness is a customer-led campaign, and we did a lot of research early on with our customers. This indicated the challenge is not that people don’t know they can get better deal on their insurance products, but in some way comparators are adding to the problem," she explains. "There’s now so much choice, it creates analysis paralysis. It’s making it hard to differentiate and figure out what’s best. “So our research delved into what people feel they have control over, and why they are inactive. Key learnings went into the campaign. However, above this, Simplesness is something we have started to adopt as a company-wide philosophy. “We want to simplify things for consumers and help them to feel more empowered and enabled to make financial decisions." Williams says it's been adopted throughout the organisation to help drive prioritisation processes, key objectives, technology initiatives, programmatic messages and from a creative perspective. To support the launch of Simplesness, CTM commissioned financial author, Melissa Browne, to write a financial self-help book entitled Money made Simples. The free downloadable e-book provides hints and tips on how best to meet money goals. A number of tools, such as a budgeting calculator and a savings tip generator, have also been created to inspire consumers to get the most out of their household budgets. Content has been further amplified via ‘Sergei’s Solutions Hub’, which is generating and responding to new questions people ask to assist customers with some of the questions they have. CTM is also building a new unit within marketing for CX and has invested in UX and UI developments, and applications development, to build tools that add value. The FCI, meanwhile, is a long-term project over the next five years to monitor how people’s financial capabilities might change. “As people become more attuned, they can start to feel more empowered to make changes,” Williams adds. Brand awareness remains key for CTM moving forward. While there was significant recognition of the meerkats with consumers, their link to the CTM brand was more tenuous, Williams says. This has led to not only the new campaign, but also a logo refresh. “What we previously created was almost a separation between the meerkats and Compare the Market. So we have changed our logo, which is now a meerkat, and we’ve done a lot of testing around it to ensure it is much more of an encapsulation of the brand,” she says. Williams agrees it's a challenging time to be a marketer, particularly within financial services, which is always undergoing reform. Combine this with consumer shifts away from traditional media to digital, their demand for better customer experience, and the proliferation of data, and you have to be conscious of making the right strategic moves. “Different products are complex for different reasons. The challenge is when you aggregate all that together, it creates confusion for the consumer," Williams comments. "There are also health reforms happening, so it’s going to get a whole lot more complicated moving forward. But we see this as a real opportunity for us to help people, and that’s what we are here to do. “The impact of new technologies, and consumers shifting the way they consume media is a big change. Digital continues to grow in terms of importance, and one of the things that attracted me to CTM is the emphasis put on that channel. This is only going to continue, and marketers are going to have to get smarter. Digital is infinitely measureable, but what you end up with is thousands of data points, so making decisions off the back of that is a challenge. “Traditional media channels are becoming gradually more sophisticated, and targeting is evolving." Williams says her team is tracking roughly 3000 metrics, advertising across seven channels, and has 12 different verticals. It's striving to track all the way through the user journey. TV is used as a branding tool, so those metrics are measured over the longer term for understanding effectiveness. Within that, CTM is starting to use digital video channels to optimise, whether for creative messaging or for targeting to drive that into TV strategy. CTM also has a strong digital capability, does its own media buying and digital programmatic in-house, to provide a better finger on the pulse.